If you have a teacher or other guide that is helping you with EdReady, you should get advice about which study path to choose. You can also review the units covered by each study path by clicking on the “Show details” button. Until you have completed the initial diagnostic in a study path, the score will be shown as a “?”. You can work with as many study paths as you like at the same time. 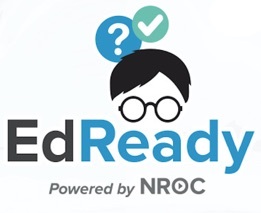 What is my EdReady score?